Home | News | What makes for a great auction? What makes for a great auction? The success of an auction hinges on a number of factors, most importantly appropriate marketing, realistic quoting and an engaging auctioneer – but these elements are of no consequence unless they are well coordinated by an experienced agent, such as Diana Dugan director of Property Matchmaker. According to Diana, the marketing must appeal to those who wish to purchase, the pricing must attract those who are able to purchase and the auctioneer must engage those who are committed to purchase. Only then will a truly outstanding result be achieved. A wonderful example of an unbelievably successful auction was at 3/10-12 Church Street Beaumaris. With professionally written advertising, and a natural ability to identify her target market, Diana ensured that the correct demographic attended her opens and, once there, the exceptional presentation of the property guaranteed interest. 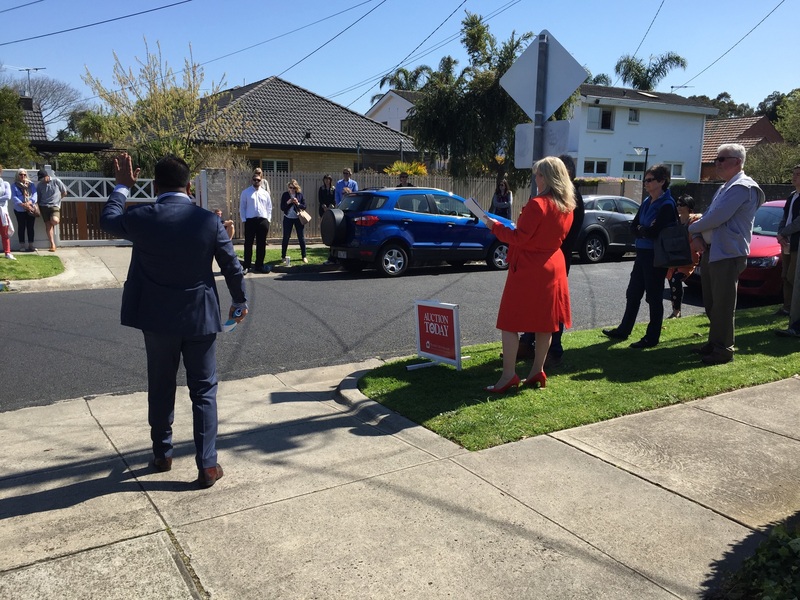 A realistic price range brought the numbers to the auction and, spurred on by experienced auctioneer Sophorn En, three committed buyers took the bidding past the $630K reserve to a staggering sale price of $744K, representing an incredible 18% increase. Fuelled by her unwavering desire to achieve the best result for both her sellers and buyers, Diana’s finely honed skills are never more apparent than in the frenzy of auction excitement. After 2 local agents were unable to sell my home after 12 months, Diana not only sold my home immediately, she found us a new home to downsize nearby that wasn’t even on the market. The Real Estate Institute of Victoria (REIV) has been the peak professional association for the Victorian real estate industry since 1936.